Welcome to 2015, a new year and a fresh start to accomplishing your goals and being the YOU that you've always wanted to be. Most of us have had a few weeks of too much alcohol, desserts, rich foods and late nights. All these things add up and can pack on pounds, hold onto water and make you VERY tired and lethargic. Drink 2 Litres of water EVERY DAY- get a mason jar (1L) and fill it up in the morning with warm water and lemon (if you have) and drink it through the morning/mid-day then fill up again and finish by bedtime and BAM you did it! cut out WHEAT, SUGAR & DAIRY; I know this seems like a big feat but it is 100% doable and not as hard as you may think. If you have the smoothies outlined above and eat MANY fruits and Veg throughout the day (and add Juice Plus Capsules for added nutrients), you will not have cravings or be hungry. 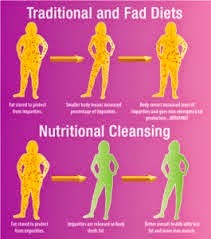 This is called a nutritional cleanse which uses real food to help you get rid of toxins and balance out your micro nutrients in your body instead of restriction fad diets that don't cleanse your body, they keep toxins in, you then drop some weight BUT don't clean out the toxins make you crave again and weight goes back on. A nutritional cleanse will allow you to get weight off and KEEP IT OFF instead of the fad diet yo-yo-in that happens to most people.